Happy America Recycles Day College Park! Not sure what is accepted or not for recycling? Have no clue what contaminated recycling means? 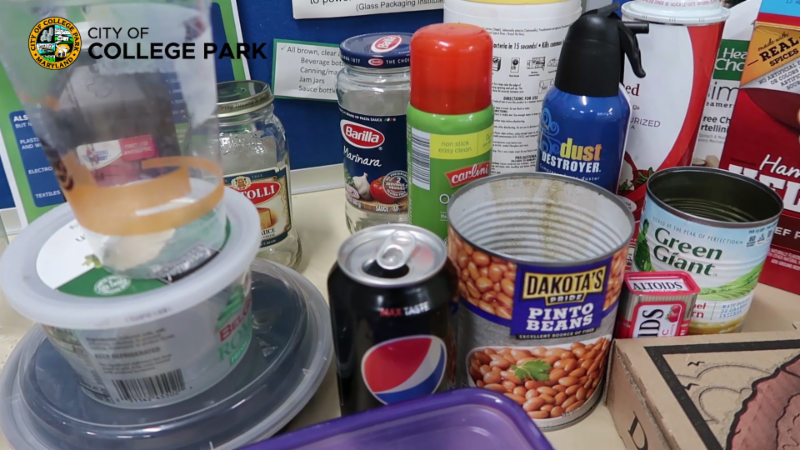 Our Sustainability Coordinator Janet answered our most received questions and offers a few tips about recycling in a video in honor of yesterday's America Recycles Day. Check out the video here . All City offices will be closed on Thursday and Friday November 22 and 23 in observance of the Thanksgiving holiday. No special collections will occur next week. Curbside Leaf Collections is currently on schedule. Next week, crews will be in SA1-Old Town, SA2-Calvert Hills, and SA3-Estates/Yarrow. Do NOT rake your leaves into the street; instead rake your leaves and soft yard waste to the curb. To ensure collection, put leaves out by the first day listed. The calendar may show two or three days in an area, but we only collect once per street per collection cycle. There are four collections cycles per season. Residents can find out when their neighborhood will be serviced by visiting our website for the most up-to-date calendar or look for signs posted in their neighborhood with the collection dates. Signs will be posted the week prior to collection. For the eaf collection calendar, please click here . Soft yard waste’s weekly collection is suspended for the year. Bags or containers of soft yard waste will only be collected when the vacuum trucks are scheduled to be in your neighborhood. Saturday, November 24 is Small Business Saturday – a day to celebrate and support small businesses and all they do for their communities. 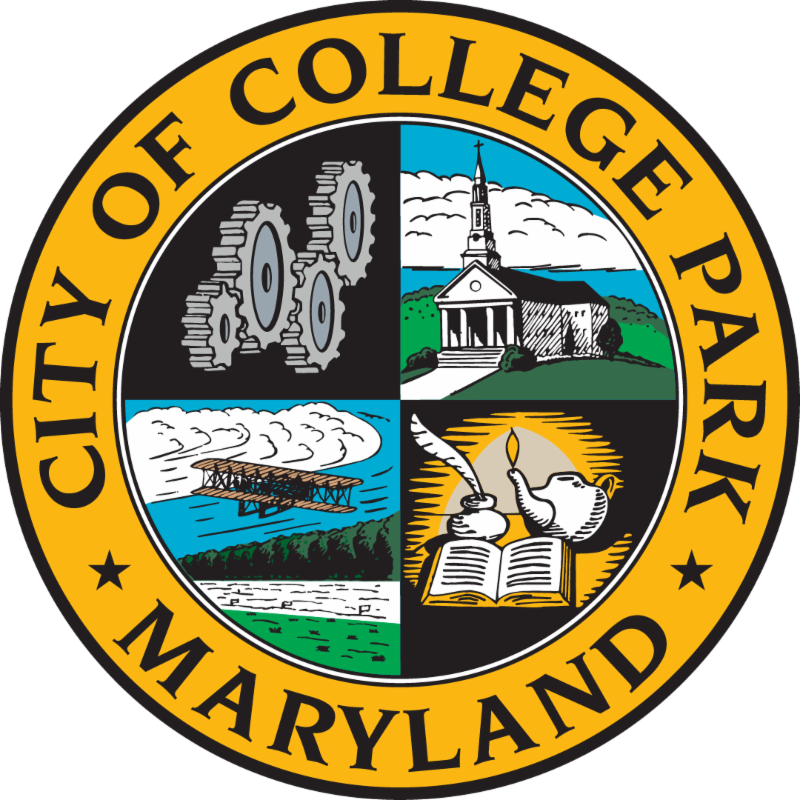 With the holiday season upon us, now is a great time to purchase goods which support local businesses and contribute to College Park’s economic growth and vitality! The City is home to over 150 independently-owned restaurants and shops; don't forget to visit them this Small Business Saturday! The Department held a pre-construction meeting with Fresh Air Concepts who will be performing the replacement HVAC System at YFS Building. On Tuesday, November 12, the Department and HR participated in and presented a training session sponsored by the Mid-Atlantic APWA on Diversity in Public Works at City Hall. Participants from Montgomery, Anne Arundel, Fairfax counties attended along with other attendees. Department staff provided various support functions to facilitate the Veterans Day event held on November 11th. On Thursday, November 15th, the Department monitored the inclement weather and ice and snow by providing sidewalk clearing at city facilities and spot checks on roadways. Last week our Assistant Director attended the Sustainable Maryland Leadership Training workshop about Growing the Community Forest. Participating in this training helps maintain our Sustainable Maryland certification. 11/2 Contract officer conducted a traffic assignment (Parking Enforcement) in the 4300 block of Hartwick Road. 2 parking citations were issued. 11/6 Contract officers issued 4 student referrals throughout the day in the 4300 block of Hartwick Road for loud parties. 11/7 Contract officer conducted a premise check in the 4800 block of Iroquois Street. Information forwarded to the Public Services office. 11/7 Contract officers conducted high visibility patrols in Hollywood and Berwyn regarding the earlier Indecent Exposure Incident. Information gathered was forwarded to investigators. 11/8 Contract officer on routine patrol observed a male with an open beer at Norwich Road and Yale Avenue. A student referral was issued for open alcoholic beverage in public.